Vivian Schiller has a new part-time gig, according to a memo obtained by Business Insider. She’ll be a “strategic advisor” at news startup Vocativ. Schiller’s most recent job was head of news at Twitter, which she held for 10 months. 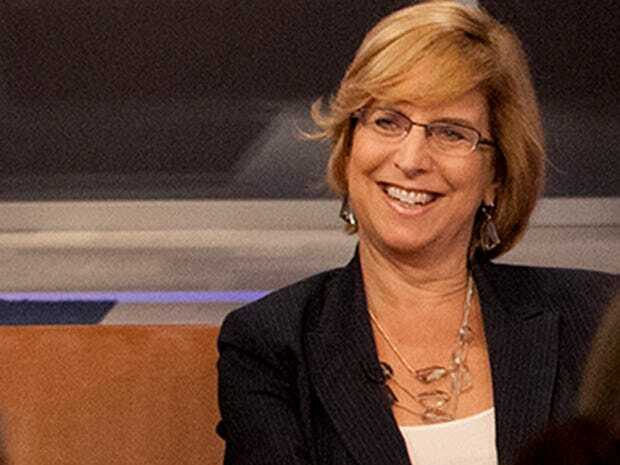 Prior to that, she was a senior vice president at NBC, in charge of digital. Prior to that, Schiller was the CEO of NPR. The New York Times reporter Leslie Kaufman profiled the company in February. At our one-year anniversary, we have much to celebrate. You all should be proud of what you’re doing to build a news brand that’s different — one rooted in technology that tells the stories that matter most to youth around the globe. As we enter our second year, we have exciting news to share: Vivian Schiller, a renowned figure in the news business, is joining as strategic advisor. Vivian will advise Mati [Kochavi, Vocativ CEO,] and the senior team as the company continues to develop and execute its partnership strategy while pioneering new growth opportunities. Vivian brings unsurpassed experience steering some of the most recognised media brands in the world. Her prior roles have included: Head of News and Journalism Partnerships at Twitter; Senior Vice President and Chief Digital Officer for NBC News; President & CEO — NPR; and Senior Vice President at NYT Digital. She joins us as at a particularly exciting time for the company, as we embark on our next phase of innovative new product launches, continued cutting-edge technology development and expansion of our partnerships. All while continuing to grow our amazing team of talented reporters, editors, data analysts and technologists. Vocativ is increasingly renowned for its innovation and passion, and your dedication and hard work are what is making it possible to spread our wings. Vivian’s mission, like ours, is to help shape the future of news. We are thrilled to have her advising us.